MOTIVATED SELLER JUST REDUCED ANOTHER $30K!! 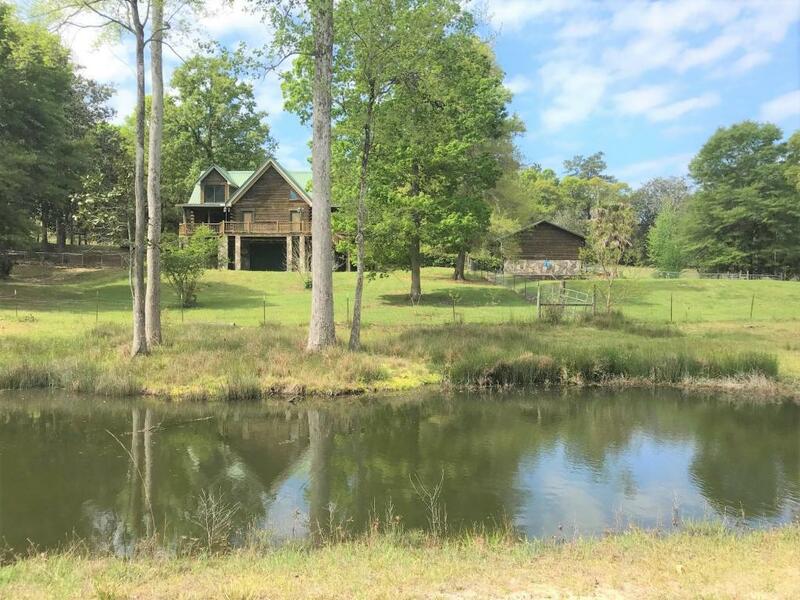 2007 cedar log home on a beautiful 9 acre parcel. Exterior features include in-ground salt water pool, detached 2-car garage, small private spring-fed pond. Home is a total of 5,006 SF, with 2100 SF living area (Master BR & 1.5 bath 1st floor; 2 BR, 1 bath 2nd floor), 1344 SF unfinished walk-out basement (heated & cooled, separate unit), plus over 1,500 SF of covered porch across front & open deck across back of home. There is a hot tub on back deck, which overlooks pool & the pond. All of this within 10 minutes of downtown historic Defuniak Springs & w/in an hour of the beaches of S Walton County. Schedule your showing today!